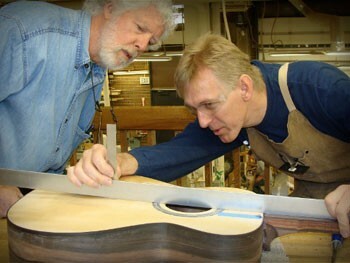 The Colorado School of Lutherie was established in 2002. It’s purpose is to provide top quality instruction for those wishing to learn the art and craft of building & repair of string instruments. We offer a variety of workshops & classes designed to instruct students in the theoretical aspects of instrument design, to teach them the fundamentals of woodworking, and to foster their development of precision and skill. Our focus is on traditional methods and time tested designs. 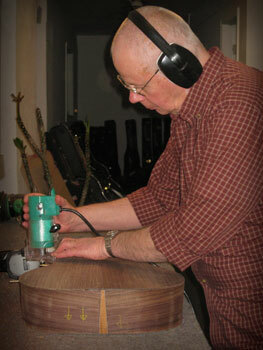 While most of the work is done with hand tools we also also offer instruction in the safe use of power tools. 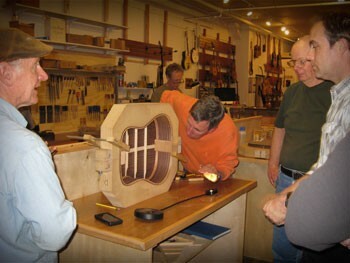 Modern instrument building techniques are discussed and taught, especially at the Intermediate and Advanced levels. 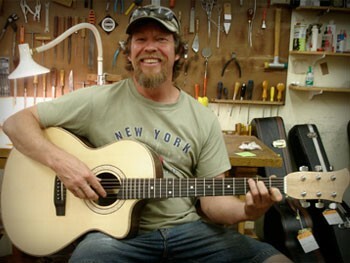 Issues of tone and functionality are examined at all levels. Class sizeis kept small (usually 8 students) so as to give maximum time for personal instruction. One on one instruction is also available. No previous woodworking or experience is necessary. Nor do you have to be able to play an instrument. 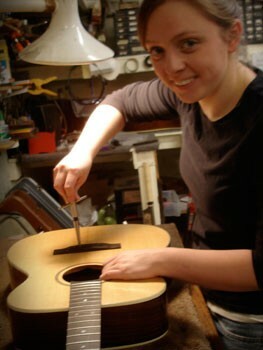 However, we do offer advanced levels of instruction for those with prior woodworking or luthier training. We are continually upgrading and adding to our course offerings, so if there is something you are are interested in but don’t see available, please don’t hesitate to inquire. Take our 3d tour to visit the school.